Last month, the International Telecommunications Union (ITU), the United Nations (UN) specialised agency responsible for information and communication technologies (ICT), published a report looking at the enabling role of ICT for the 17 Sustainable Development Goals (SDGs). In the publication titled, “Fast-Forward Progress: Leveraging Tech to Achieve the Global Goals”, the leaders of more than 20 UN agencies and international organisations wrote about how ICT could help them to achieve the SDGs from the 2030 Agenda for Sustainable Development. They gave numerous examples of the work being done, discuss the challenges and set out priority areas. 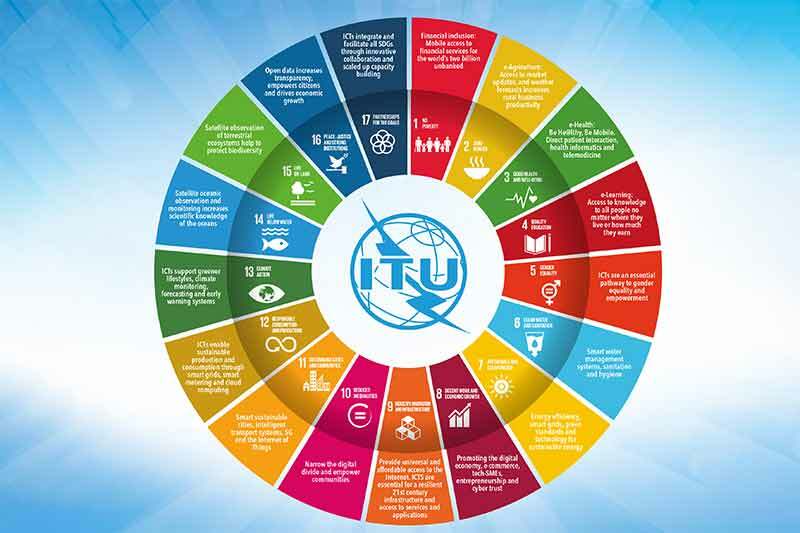 ITU has also developed an online platform that outlines the opportunities for ICTs to be leveraged in support of the SDGs at: www.itu.int/ict4sdg. The report identified five key lessons. The first is leaving no one offline. Today 3.9 billion people do not have access to the Internet or its transformative benefits, in the form of news, education, banking etc. Moreover, men continue to outnumber women in terms of access to mobile phones and Internet usage in all regions of the world. There are around 250 million fewer women online than men and the gender digital gap is the largest in Least Developed Countries (LDCs). A central promise of the 2030 Agenda is to leave no one behind and ITU is committed to working towards it. The second is that ICTs is an accelerator for innovation and change. Several contributors to the report cited the impact of big data, sensor networks, autonomous robots, machine learning and artificial intelligence. Farmers use satellite imagery to monitor land use, water scarcity and shifting climate patterns. ICTs improve capabilities to gather, analyse, manage and exchange information in all areas of health, from research on molecular genetics to large-scale humanitarian interventions. All these changes have one thing in common: big data. The third lesson is the need to put people first, whether it is children, workers or refugees, in the different contexts. For instance, looking at people compelled to flee their homes by conflict and persecution currently (number quoted in the report is 65.3 million), the crucial role to be played by ICT becomes clear. Recent research revealed that refugees see connectivity as a critical survival tool, often prioritising it over items such as education, clothing and healthcare. From letting their families know they are safe to informing themselves about their new environment, access services and support (including cash transfers, digital education, and job opportunities), digital connectivity plays a critical role. The fourth lesson is that there is no room for complacency. The contributors to the report, cite the importance of being vigilant in identifying ways to leverage ICTs. Connectivity and access to ICTs are critical but it is important to remember complementary actions are required to increase confidence and trust. In addition, if access to ICT-enabled services is limited to privileged groups, socio-economic gaps could increase further. The people with the most to gain from ICTs are also those most likely to be locked out of the benefits. The cost of Internet access is higher in developing countries and highest in least developed countries LDCs, preventing poor communities from partaking of the benefits of ICT driven transformation. The fifth lesson is the importance of creating new innovating partnerships. Partnerships are crucial to realise the SDGs. The international community has a responsibility to promote more effective collaboration. The private sector also has a critical role to play. For example, the Food and Agriculture Organization (FAO) is driving several ICT initiatives to support directly the work and well-being of farmers, fishers, collectors, rural populations and traditional communities. But it is not doing so alone. Governments, other UN agencies, civil society and private stakeholders are key partners, as they hold local information about agriculture, food security, nutrition, climate, existing policies and funding initiatives. National and local governments are being invited to contribute resources to this effort. Regulatory policies and national plans to promote access to the Internet and increase the penetration of digital networks in rural areas are playing a critical role. ICT companies, software, telecom and device manufacturers are strategic partners to help build the digital solutions. The importance of partnerships becomes even more clear when we see that of the 160 projects, programmes and initiatives on the “Partnerships for SDGs” online platform using ICTs to achieve the 17 SDGs, almost one third involve at least one area of FAO’s mandate. The different SDGs, the projects, the stakeholders are all interlinked in a complex web.